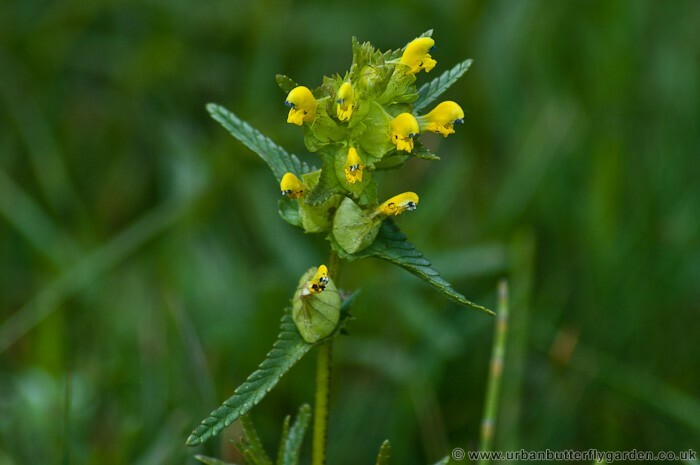 A yellow flowering annual plant, with thin leaves with round toothed edges, often used in the creation of wildflower meadows.The leaves grow up the stem in pairs, the small tube like yellow flowers point out from the seed casings, which sit in the base of the leaves on the upper part of stem. 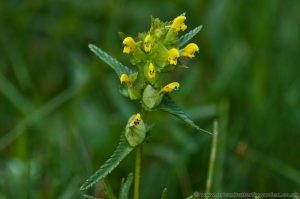 The plants name Yellow Rattle is taken from the noise produced by the dry mature seeds, inside the thin papery seed casing, often found around the end of July. 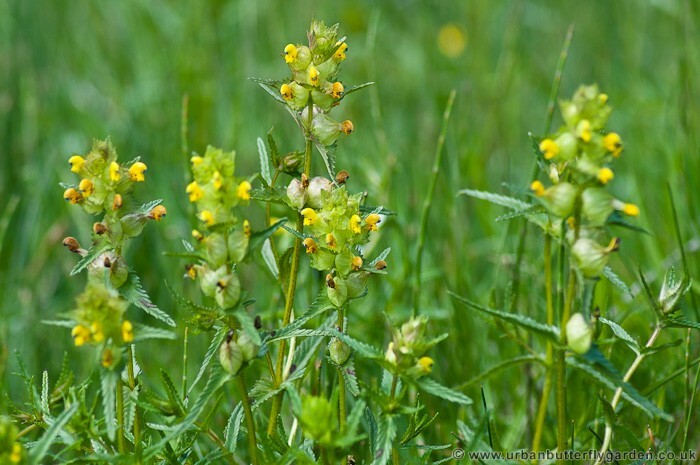 Yellow Rattle is a Hemi-parasitic plant, taking some of the nutrients it needs, by growing into the roots of the grasses that surround it, this weakens and restricts the competing grass growth helping more of its seeds to reach the soil year after year, this restricted growth also helps many other species of wild meadow flowers to become established. Also Known As: Cockscomb, Hay Rattle. Habitat: Well drained undisturbed areas – Meadows, Road side verges, woodland rides and tracks. When does it flower? May to September. 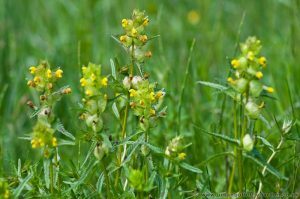 Butterfly Nectar Plant for: Common Blue, Brown Argus, Brimstone, Orange tip also very beneficial for Bees and many other insects.